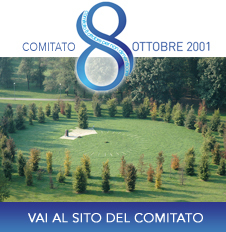 The Technical Task Force of Fondazione 8 Ottobre 2001 is able to conduct studies and analysis of the current regulations and their applications with the purpose of providing views, opinions, proposal and possible solutions in different locations and moments, such as Public Consultations, Workshops, National and International Conferences, as well as to contribute to the identification of a regulatory framework, always updated, precise and dynamic, able to take due account of all peculiarities of the Air Transport sector and in particular of the Flight Safety and Protection of the Rights of Passengers. Among its activities, the Technical Task Force is committed, thanks to its professionalism and experience to strengthen the level of safety, and the preparedness of all the stakeholders who might be involved in an air accident. With reference to the latter, the Technical Task Force is able to ensure a propere response, both for the immediate post-emergency and for the medium and long term, for all the aspects which may arise during an emergency, such as operational, regulamentary, liability and emotional support ones. Moreover, thanks to a dedicated preparation the Technical Task Force holds a unique position in providing a free, indipendent and impartial advice on legal and liability issues to people who have been involved in an air crash and their loved ones. Yet, with the aim to provide full support to those involved, the Foundation has signed an agreement with “Associazione MAYDAYItalia“, which is specialized in Crisis Management and Psychological Support during Post-Accident’s phases to victims, relatives and responders. The agreement also includes the possibility of providing training courses in Crisis Management. Upon completion of the course, participants will be provided with the certification of “PEER”. The variety of its projects and activities would be totally in vain if it were not disclosed to the Stakeholders involved in Aviation Safety, and in particular to the users, main reason of our work. This is the reason why the Technical Task Force commenced a communication campaign aimed at disseminating information related to Aviation Safety, in order to make people more aware of the fundamental principle which stands behind the modern society, living in a safe world. It can be achieved only through the constant spread of the so-called “Safety Culture” among all players in the transport industry. Communication activities occur therefore through the organization of the above mentioned events, our website, main social networks (Facebook, Twitter, Linkedin) and the media.